Rajputana India Tours has designed this 6 Nights - 7 Days Rajasthan Desert Tour Package to explore the desert state of India. 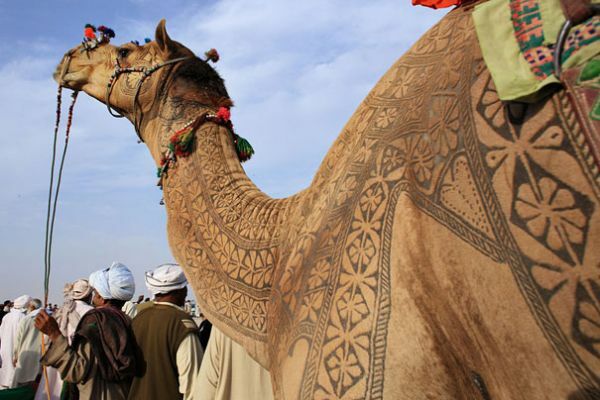 In this Rajasthan Tour package you will visit major cities like Jaipur, Bikaner, Jaisalmer, Jodhpur and Pushkar. You can book this Rajasthan tour based on your requirement, as this package can be customized according to your preference and budget. 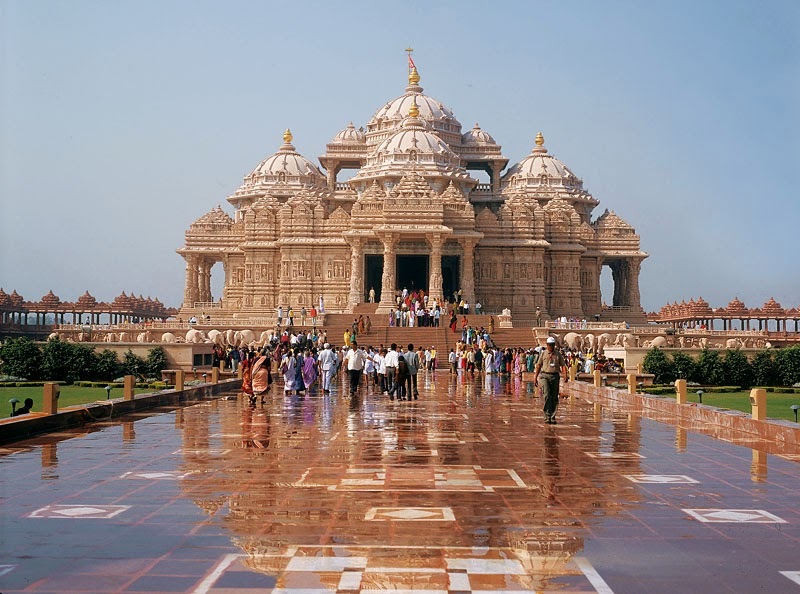 Upon your arrival at Delhi airport for Rajasthan Desert Tour Package, our company representative will meet and greet you. Later you will be transferred to the air-conditioned car to proceed towards Jaipur. On reaching this place, you will check-in the hotel for short relax. After having lunch, you will leave for half-day sightseeing. you will go to visit Hawa Mahal that is also called as “Palace of Winds” and was constructed by Maharaja Sawai Pratap Singh in the year 1799. The structure of this monument is like a beehive and comprises of 953 small windows. Then you will visit City Palace that is a huge complex that consists of buildings, beautiful gardens, courtyards and other magnificent structures. It was made in between 1729 and 17332 with the initiation of the rule of Ajmer, Sawai Jai Singh II. 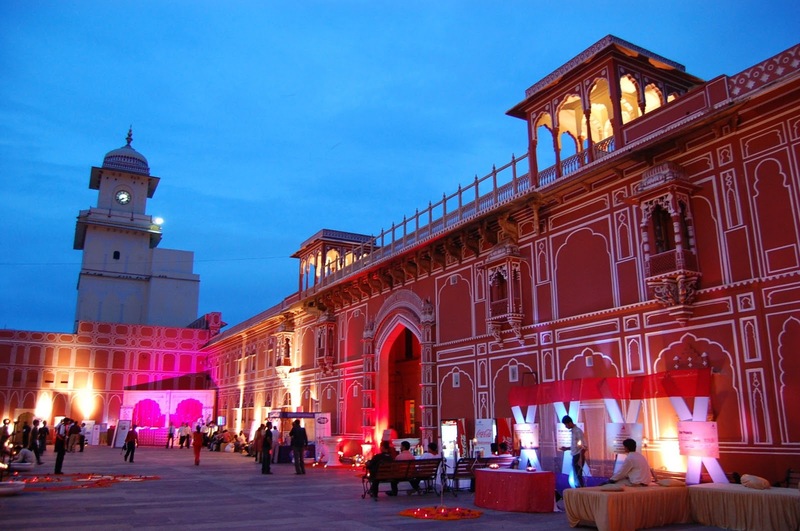 After visiting this famous tourist attraction, you will go to explore Albert Hall Museum situated in the Ram Niwas Garden In Jaipur and is the oldest museum in the state of Rajasthan. Return to hotel for overnight stay. After having early morning breakfast at the hotel, our company representative will transfer you to the car as you will leave for Bikaner. On reaching this place, you will check-in the hotel for short relax then you will go for visit camel breeding farm, Back to hotel & overnight stay. 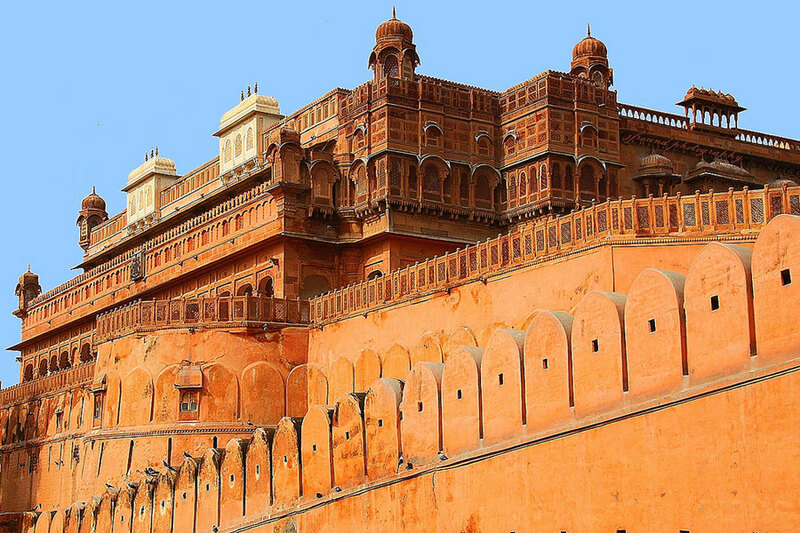 After having early morning breakfast at the hotel, our company representative will transfer you to the car as you will leave for Bikaner sightseeing, which includes Junagarh Fort, a grand structure built in the 16th century. You will also visit Bandeshwar Temple and the Deshnoke Temple, where rats are considered holy and worshipped. After lunch drive to Jaisalmer. On reaching this place, you will check-in the hotel & overnight stay. 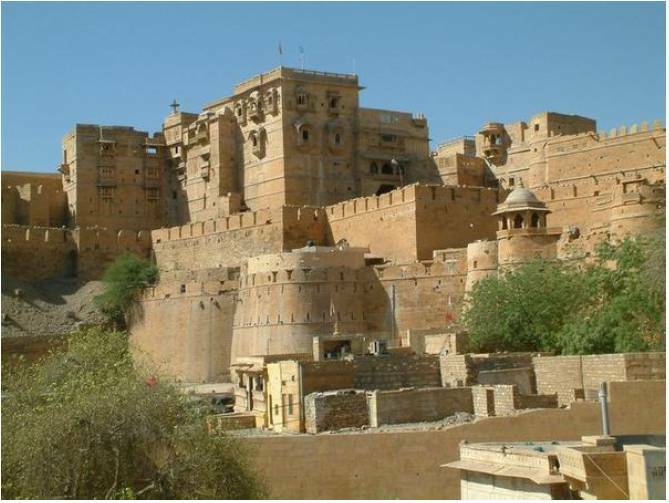 Have breakfast at the hotel then our representative will transfer you to the car as you will leave full day sightseeing of Jaiselmer – visit the beautiful Sonar Fort also known as Jaisalmer Fort. Then you will see beautiful mansions or havelis with balconies and windows covered by fine carved screens. There are many beautiful havelis along the narrow lanes in Jaisalmer town, which has medieval ambience ,visit Gadisar Lake , Evening visit Sam sand dunes. At this place, you are going to stay in a tent and can enjoy camel ride, along with bonfire in night with traditional Rajasthani folk songs. Return to the tent for overnight stay. After having breakfast at the hotel, our company representative will transfer you to the car as you will leave for Pushkar. 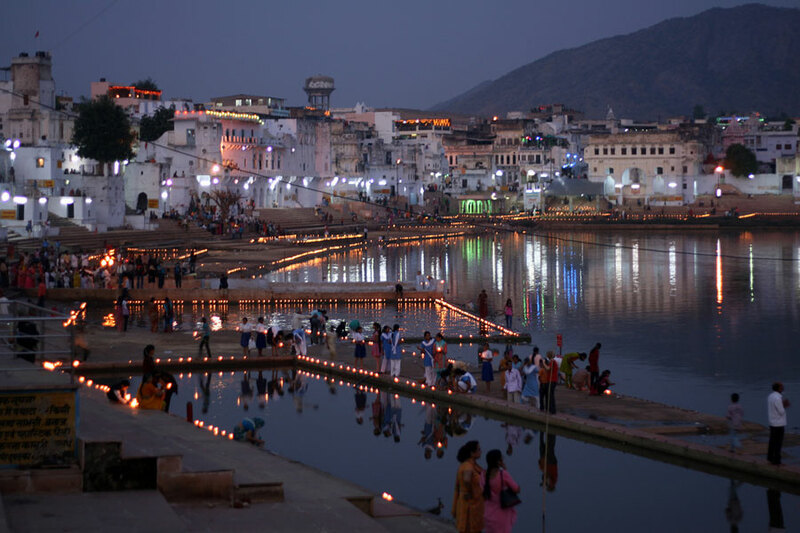 On reaching this place, you will check-in the hotel for short relax then you will go for sightseeing wherein you will visit Brahma temple, and Pushkar Lake. Return to the hotel for overnight stay. Have breakfast at the hotel, as you will be transferred to the car as you will drive towards Jaipur Airport to board your flight to next destination/home.